Systems | The Engines Cannae' Take It! 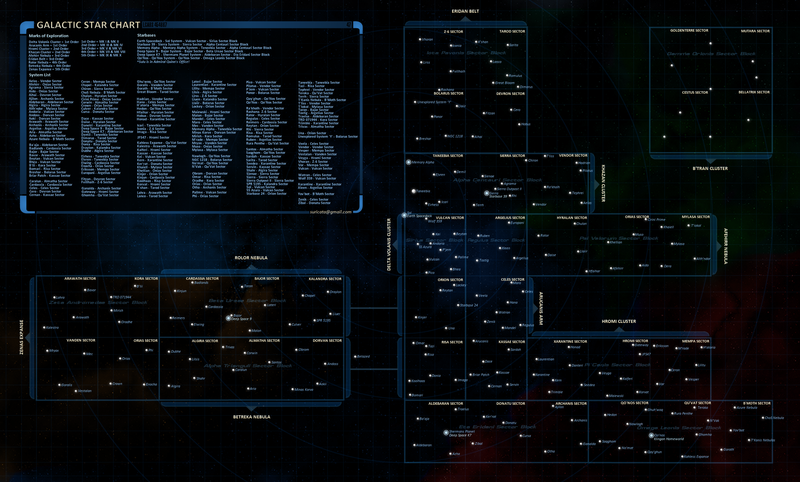 There are quite a few aspects of how starships function in Star Trek: Online that aren’t very well explained. The new Starship Mechanics article grew out of some testing I did to determine the relationship between the ‘Captain’ skills and a ship’s speed, turn rate and hull strength, but has expanded to cover several other aspects of how ships function. Like all articles here, Starship Mechanics is a work in progress, but more so in this case than usual. As I mentioned a few days back, the amount of time I have to dedicate to The Engines Cannae’ Take It! may be significantly reduced in the near future, so rather than waiting until I had everything I wanted to cover, I’ve gone ahead and published what’s finished, and touched on some of the areas that I’m still investigating. Anyway, I hope you find the article interesting and/or useful – please let me know what you think, and if you spot any mistakes or errors. War has made the universe a dangerous place in Star Trek: Online, so it’s best to understand the capabilities and functions of the weaponry available. The new Starship Weapons Overview article introduces some of the key concepts governing weapons in STO, takes a look at all the various types and presents the results of testing how damage bonuses are applied. Hopefully this information will be useful to everyone, although more experienced players may find the Damage Modifiers and DPS Comparison over Range sections most interesting. As always, the article is a work in progress and will be updated as I continue to shoot stuff, so please feel free to let me know what you think (and point out any mistakes I may have made). The skills system is one of the most important aspects of Star Trek: Online, affecting how well your characters perform at almost everything they do, and intrinsically tied to their progression through the ranks and grades. Unfortunately, it’s also rather poorly explained, which leads to much confusion among new players and beta veterans alike. Following on from the general overview of the STO skills system given in Character Basics, the new Skills: The Numbers article takes a closer look at how skills work, the numbers involved, and some of their implications for deciding where to spend your hard-earned skill points. Hope you find it helpful – as always, any feedback, comments, ideas or criticism are gratefully received. More server maintenance once again means more time to flip through pages of notes and put together an article. 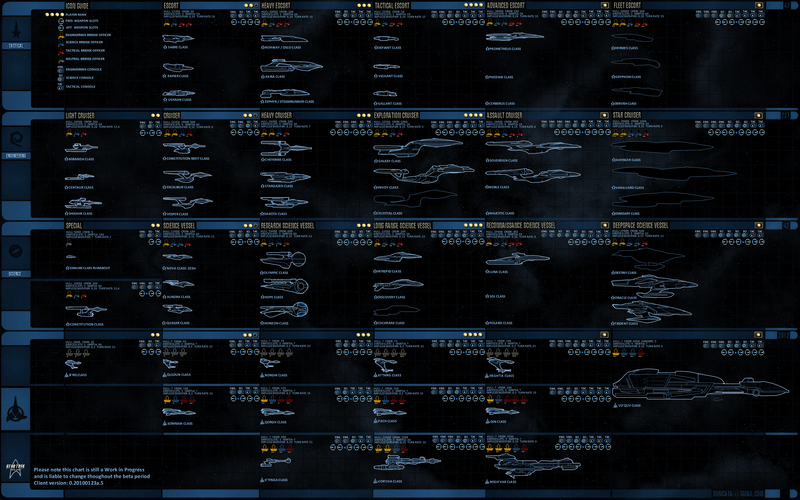 Weapon Ranges presents the results of testing the effects of range on the different types of starship weapons in Star Trek: Online, something that turns out to be particularly important to those captains who prefer to arm themselves with cannons or turrets, but should be useful for any aspiring Admiral to know. Hope you find it helpful – feedback, comments, ideas and criticism are gratefully accepted. While today’s server maintenance is going on, I managed to pull together various bits of paper scrawled with barely legible results from testing the effects of different power levels on your ship’s four main systems – weapons, shields, engines and auxiliary. The result is a new article, Ship Power Levels, which tries to answer the question, ‘what do the power levels actually do?’ Hope you find it interesting and/or useful. As always, feedback, comments, ideas and criticism are gratefully accepted. You are currently browsing the archives for the Systems category.